It is a particular pleasure to have been invited to review chapter 2 of this book on teaching innovations. My own journey into being an academic developer began as a teacher of English as a Foreign Language and teacher educator of non-native speakers of English, so the aspects this chapter includes really struck a chord with me. 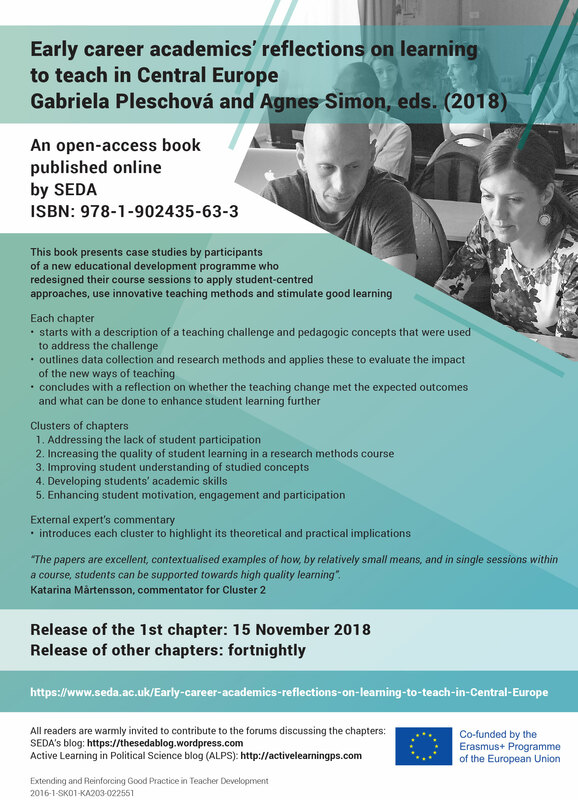 This chapter will be of particular interest to academics who want to use interactive teaching techniques to create more active learning for their students. The central message of the chapter, written by Godwin Kwasi Awuah, explores ways to minimise or overcome the alarm non-native English speakers feel about participating in class. Awuah looks at the bigger picture of what may inhibit student participation more generally, such as a fear of looking foolish or that what they have to say is not interesting enough, before looking at how these are magnified by language anxiety. The innovation he designed to address this focuses particularly on the effectiveness of small-group work in which students work collaboratively to develop topic maps. This approach is in marked contrast to traditional lectures which is what these students have been used to. Awuah tests the effect of this innovation with a single group of 32 students (not all of whom attended each of the classes – doesn’t that sound familiar?) and is rightly cautious about whether this sample size is robust enough to draw conclusions. The process and evaluation approaches are interesting, well-described and thoughtful. It was enlightening to read his observations about how much fun students were having, sharing and solving (rather than hiding) any language difficulties they met. These all are key strengths of this chapter. For future research, I would recommend that the two terms early in the chapter- Active Learning and Participation – are explored in greater depth. While I appreciate they are used here interchangeably, it would be interesting for Awuah to use the same analytical rigour, evident in this chapter, to look more carefully at the differences.